Watch three community leaders—Rabbi Elana Zelony, the Rev. Michael Waters, and Imam Omar Suleiman—discuss how diverse communities can foster encouragement, understanding, and empathy. "Understanding Diversity Through Faith," part of UTA's Community that Cares initiative, was held Tuesday evening and co-hosted by Faith Forward Dallas at Thanks-Giving Square. Zelony is with Congregation Beth Torah in Richardson, Waters is with Joy Tabernacle African Methodist Episcopal (AME) Church in Dallas, and Suleiman is with the Yaqeen Institute for Islamic Research in Irving. LEARN MORE. 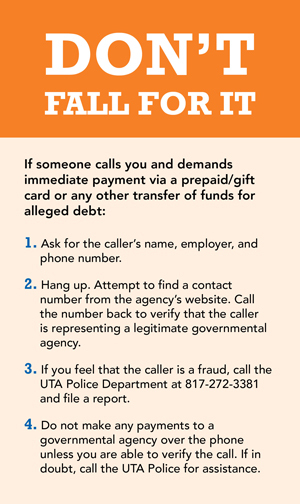 UTA students should be cautious of phone scams in which the callers identify themselves as members of UTA or a governmental agency, then threaten to arrest them on false or fictitious charges if immediate payment is not made to the suspects via a money card or other transfer of funds. The calls are from individuals posing as representatives of local law enforcement agencies, state agencies, the Internal Revenue Service (IRS) and other federal agencies, and even UTA. Some calls target international students. The telephone number used may be a cloned number from a legitimate agency or University office. If you or anyone you know has information related to such crimes, call the UTA Police Department at 817-272-3381. Use good judgment and caution when clicking web or email links or opening attachments. If you receive an email that appears suspicious, send it to security@uta.edu. Do not click on the links or open attachments. LEARN MORE. Host a carnival-style booth for your organization or department at the 20th annual Block Party. 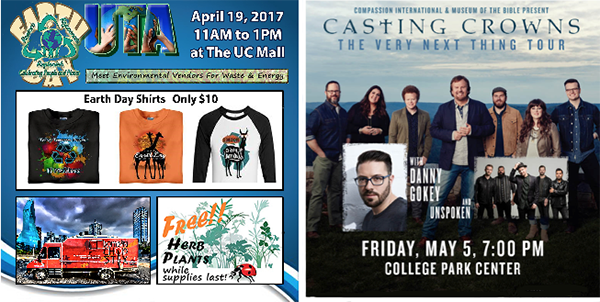 The party theme is '90s Throwback and is set for 7-10 p.m. Thursday, April 20, on the University Center mall. Register online by 5 p.m. Friday April 7. For questions, contact Sami Schilthuis at samantha.schilthuis@uta.edu. Have an idea for a business or product? 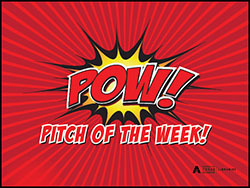 Register to compete for POW!, a business-pitch competition in a game-show style. 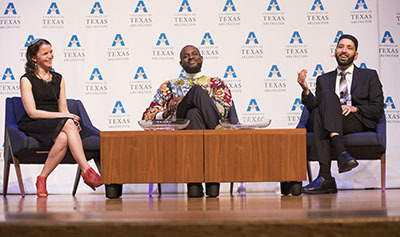 Teams have five minutes and are judged by local community and business leaders, UTA faculty members, peer academic leaders, and the audience. POW! is noon-1 p.m. Wednesdays in April in the FabLab of the Central Library. LEARN MORE. Make plans to attend CareerCon 2017, a conference designed to help students prepare for their job search and professional careers after UTA. 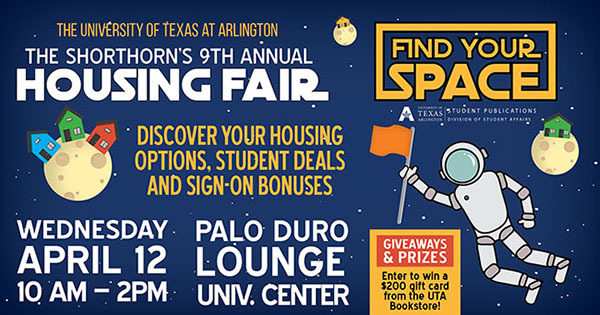 The event is 8 a.m.-1:30 p.m. Saturday, April 22, on the second floor of the University Center. Cost is $15. Professional or business casual dress is required. Register online by Wednesday, April 19. Through Monday, May 1—Midterm grades available in MyMav Student Center. Friday, May 5—Last day for classes for spring semester. Monday, May 15—First day of classes for summer intersession. Wednesday, May 17—Final grades posted for spring semester.